Los Angeles, CA - Ten of the world’s biggest automakers were sued on Wednesday by U.S. consumers who claim they concealed the risks of carbon monoxide poisoning in more than 5 million vehicles equipped with keyless ignitions, leading to 13 deaths. According to the complaint filed in Los Angeles federal court, carbon monoxide is emitted when drivers leave their vehicles running after taking their electronic key fobs with them, under the mistaken belief that the engines will shut off. The 28 named plaintiffs said this can injure or have “deadly” results for people who inhale the colorless and odorless gas, including when vehicles are left in garages attached to homes. They also said the defect reduces their vehicles’ resale values. 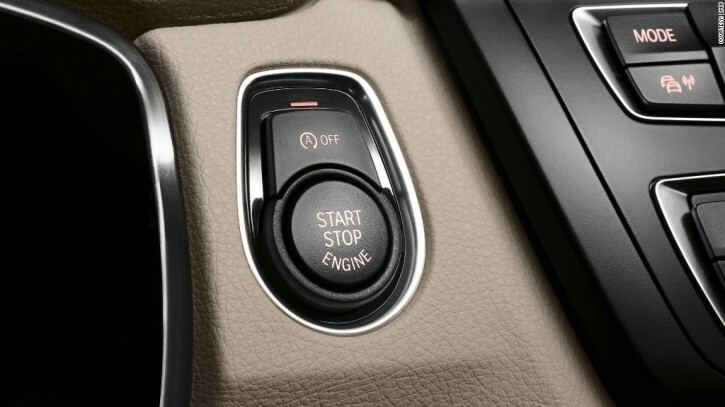 A keyless ignition lets a driver start a vehicle by pushing an on-off button, instead of inserting a key, once the vehicle senses the presence of a nearby electronic fob. ; and Honda <7267.T>, including Acura. The lawsuit is the latest seeking to hold the automotive industry liable for defects that could make driving unsafe, such as Takata <7312.T> airbags and ignition switches on GM vehicles. It claimed that the 10 automakers have long known about the risks of keyless ignitions, which have been available in the United States since at least 2003, yet deceived drivers by marketing their vehicles as safe. The plaintiffs said the automakers could have averted the 13 deaths, and many more injuries, by installing an inexpensive feature to automatically turn off unattended engines, and that GM and Ford even took steps to patent a shut-off feature. They also said 27 complaints have been lodged with the National Highway Traffic Safety Administration since 2009 over keyless ignitions. monoxide poisoning consequences of vehicles with keyless fobs that lack an automatic shut-off,” the complaint said. Unintentional carbon monoxide poisoning kills about 430 people a year in the United States, according to the Centers for Disease Control and Prevention. The lawsuit seeks class-action status, and an injunction requiring automakers to install automatic shut-off features on all existing and future vehicles sold with keyless ignitions. It also seeks compensatory and punitive damages. BMW, Fiat Chrysler and Toyota declined to comment. None of the other automakers had an immediate comment. Lawyers for the plaintiffs declined to comment. A U.S. Department of Transportation spokesman declined to comment on the NHTSA’s behalf. The lawsuit was filed in the same court where Toyota defended against lawsuits claiming that its vehicles accelerated unintentionally. U.S. District Judge James Selna in July 2013 approved a $1.6 billion settlement to resolve claims that Toyotas lost value because of that defect. It is unclear whether he will be assigned the keyless ignition case. The case is Draeger et al v. Toyota Motor Sales USA Inc et al, U.S. District Court, Central District of California, No. 15-06491. Personal Injury "Ambulance Chaser" attorneys making a big deal about nothing.